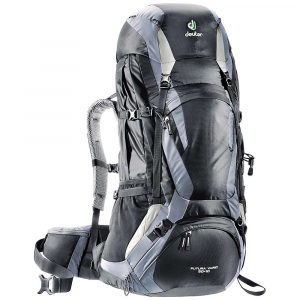 For those long treks where ventilation is essential, the Deuter Futura Vario 60 + 10 pack combines a breathable back system and a light steel frame for an ideal balance of performance and comfort. Just when you thought backpacks couldn't be any more comfortable, a pack like the Deuter Futura Vario 60+10 Backpack comes along and makes your backpacking experience even more enjoyable. 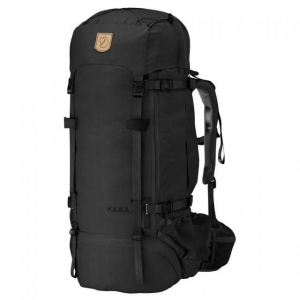 With 60-liters of storage space, the Futura is great for weekend backpacking trips, and with an optional ten liters of storage space thanks to its adjustable lid, you could use the pack for a five day trek too. 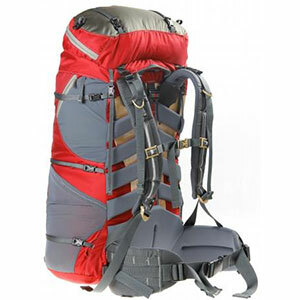 Deuter's well-designed back system is lined with Airmesh to provide exceptional breathablity, and it has height adjustable shoulder straps to fit a wide range of torso sizes. The flexible waist belt enhances comfort by moving with you while you hike and helps to transfer the load to the hips where it can be more comfortably carried. 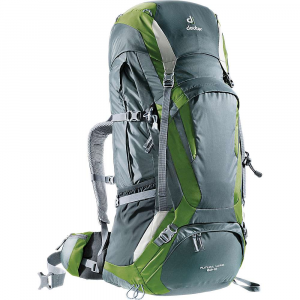 Features on the Futura 60+10 include a wet/dry storage compartment, a sleeping bag compartment, detachable rain fly, and multiple pockets for quick access to items while you're hiking. 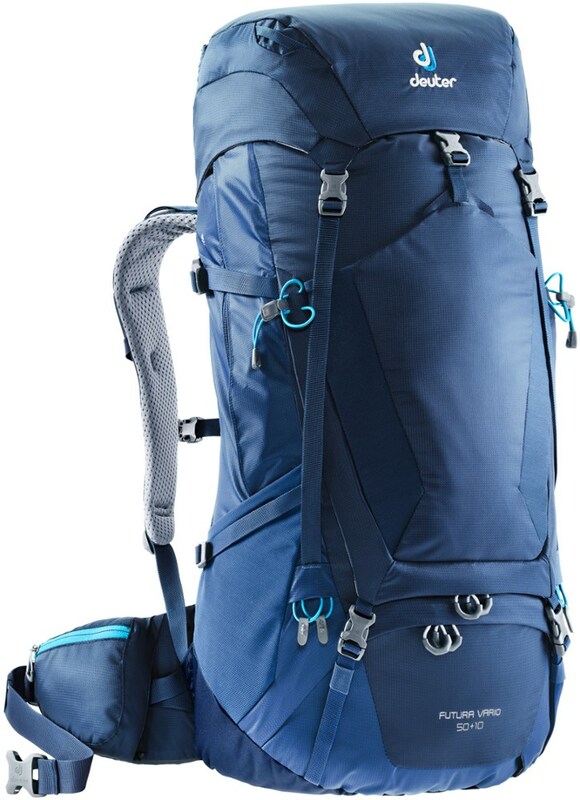 A hydration compatible design lets you hike with a three-liter water bladder system, and multiple gear loops accept trekking poles and an ice tool for mountaineering missions and early summer alpine treks. Shop Deuter Futura Vario 60+10 Back Pack-500143 with Be The First To Review New Product + Free Shipping over $49. The Deuter Futura Vario 60+10 is not available from the stores we monitor. It was last seen May 18, 2018	at Moosejaw.